When hip-hop label Death Row was acquired by WIDEawake in 2009, they promptly decided to re-issue some Death Row greats, most notably Dr. Dre’s 1992 album ‘The Chronic’ in the 'Re-Lit' album/DVD set. 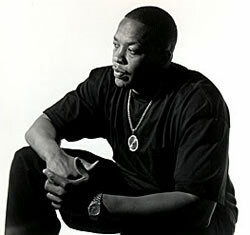 Dr. Dre was not part of the re-issue process, and quickly sued WIDEawake Entertainment Group, Inc. In the United States District Court for the Central District of California (case no. 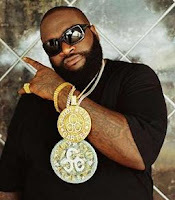 10cv01019), Dr. Dre sued for royalties owed, but also for trademark infringement, trademark dilution and false advertising, citing the Lanham Act, among other statutes. "As to plaintiff’s allegation that defendants have used his name and likeness, including the original photograph from the jacket cover of “The Chronic,” the Court finds that these allegations fail to state a claim that defendants have over-represented plaintiff’s contribution to “Re-Lit,” given that defendants accurately identify plaintiff as the author of the original masters and that defendant used a substantially same photograph from the original album jacket cover, and did not use a current picture so to imply that plaintiff recently contributed to the re-issued album." Dr. Dre will continue pursuing the claim for royalties owed.